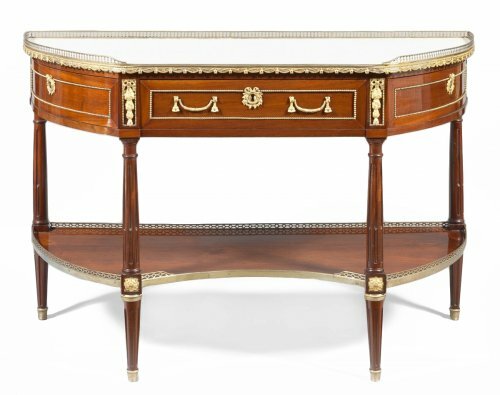 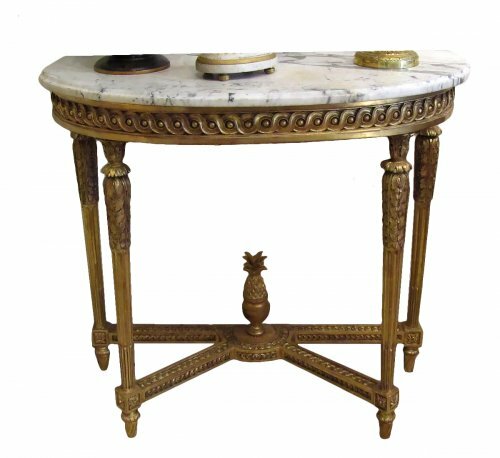 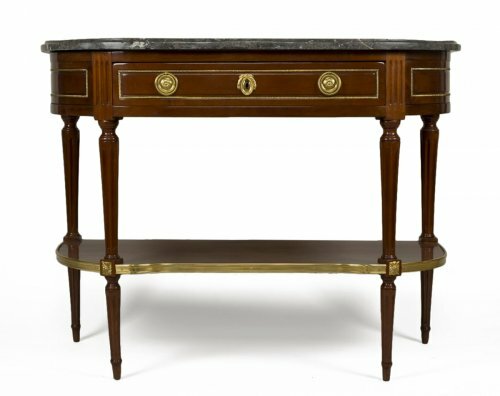 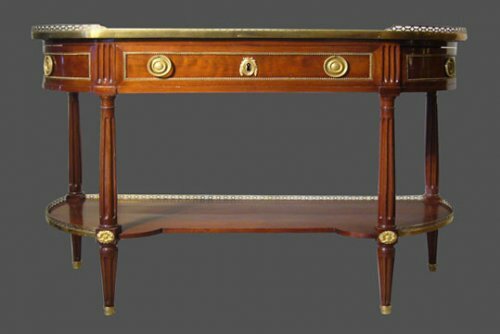 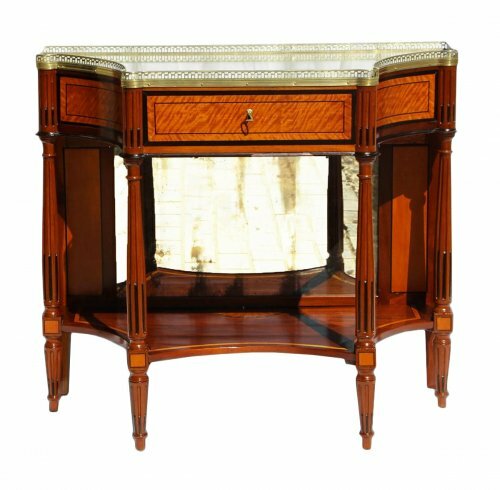 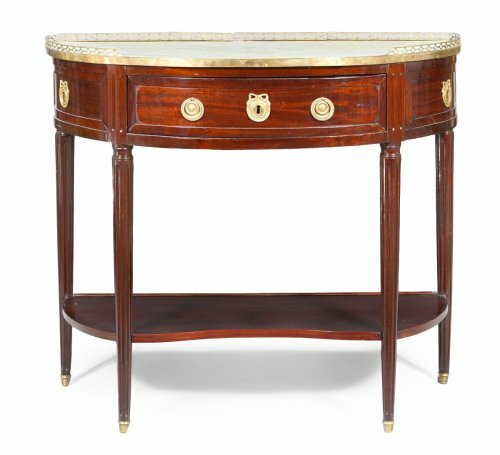 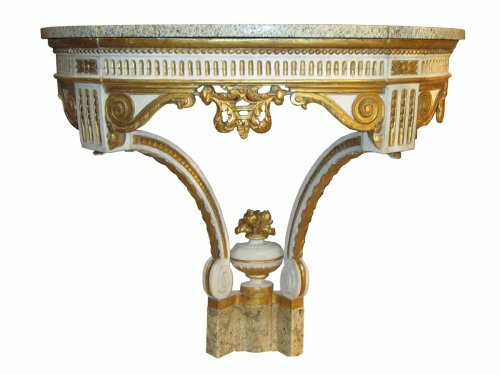 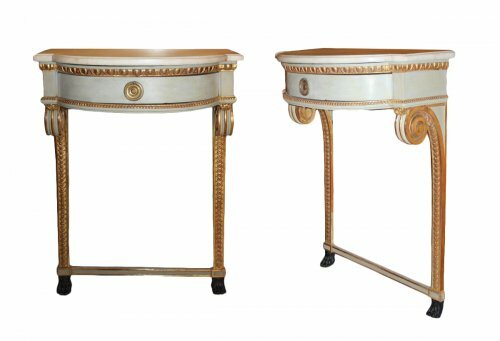 A Louis XVI console "demi-Lune"
Often demi lune-shaped, the Louis XVI console embraces a rare refinement, available in a range of designs. 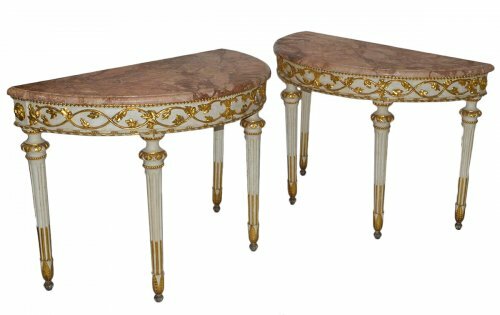 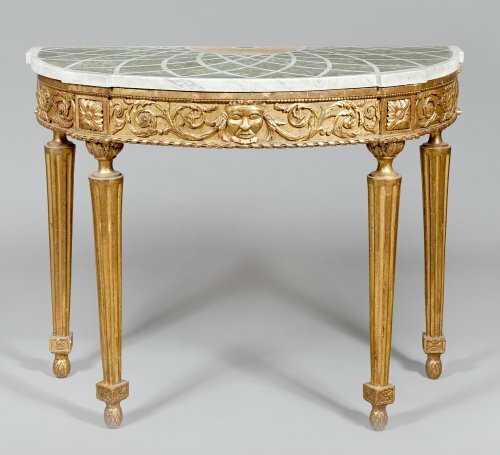 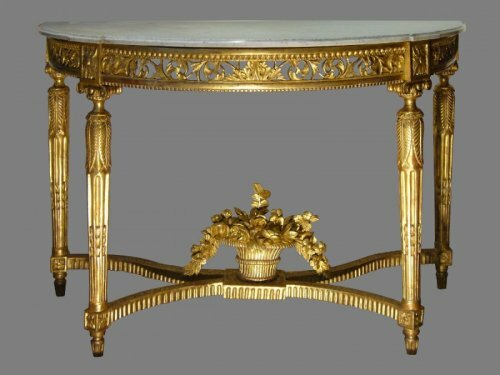 As with other furniture pieces in the Louis XVI style, it is governed by neoclassical motifs: rosettes, ribbon bows, acanthus leaves, musical instruments, fluting, palmettes... 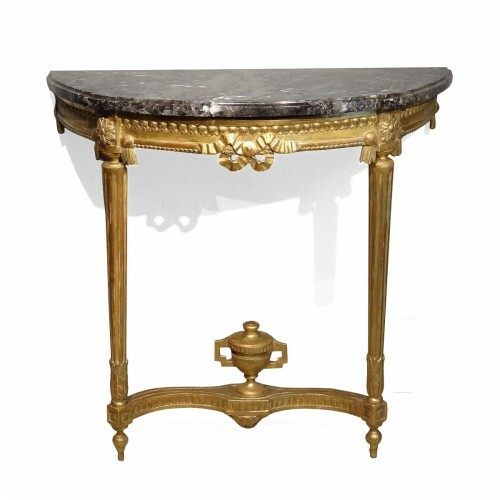 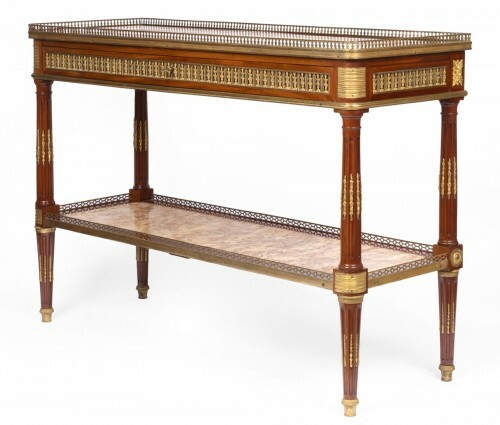 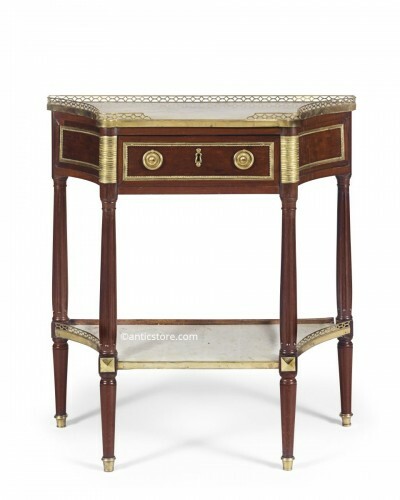 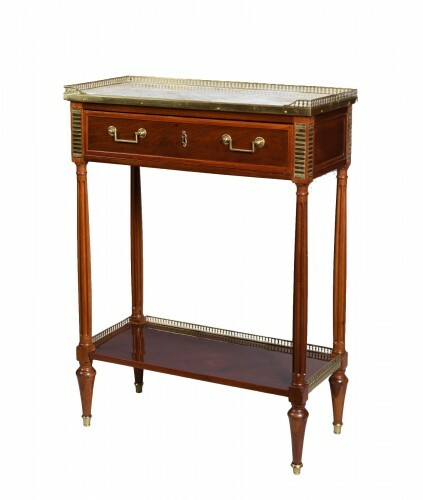 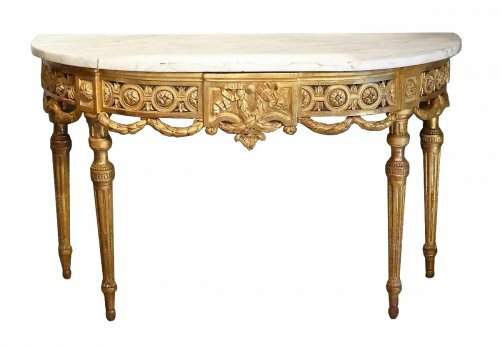 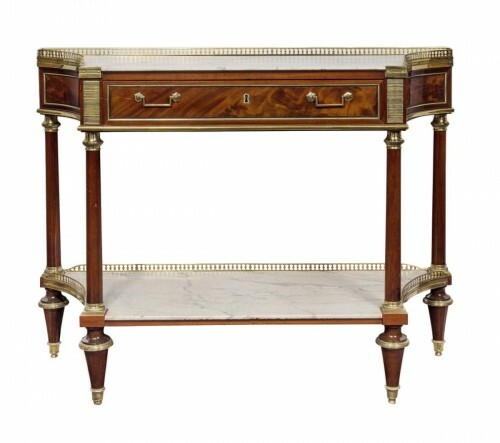 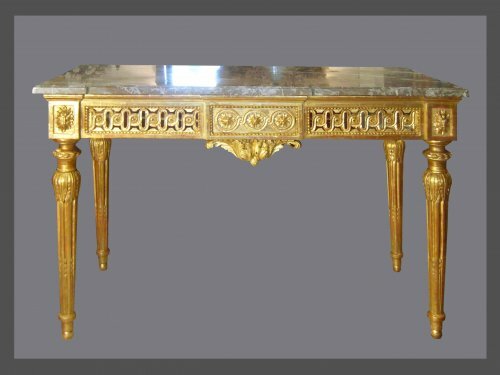 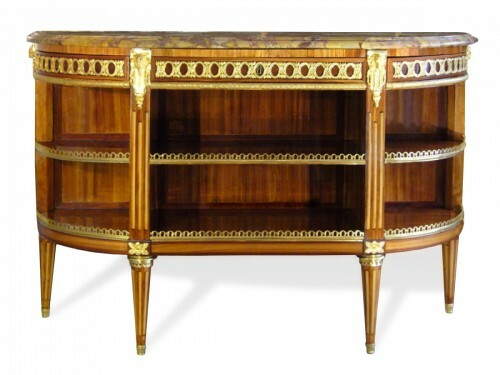 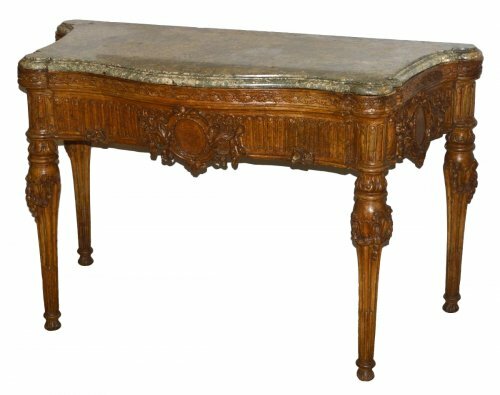 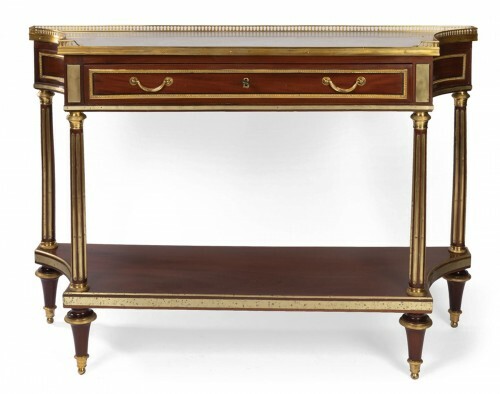 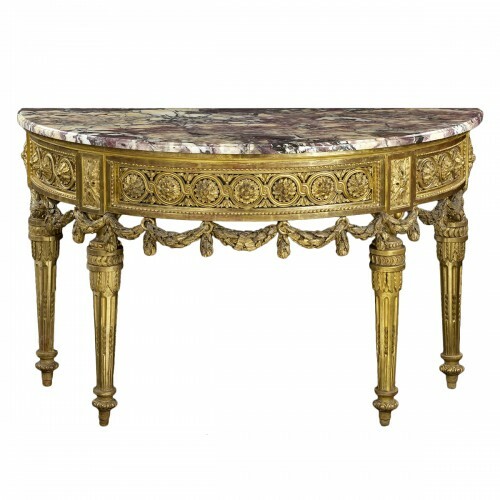 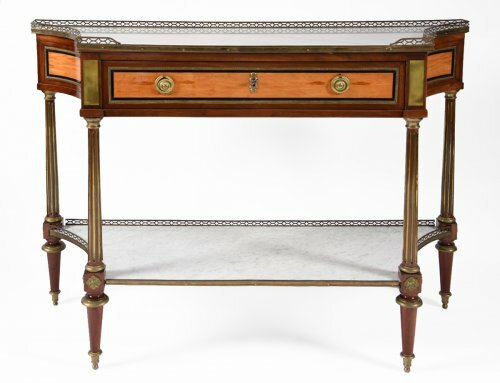 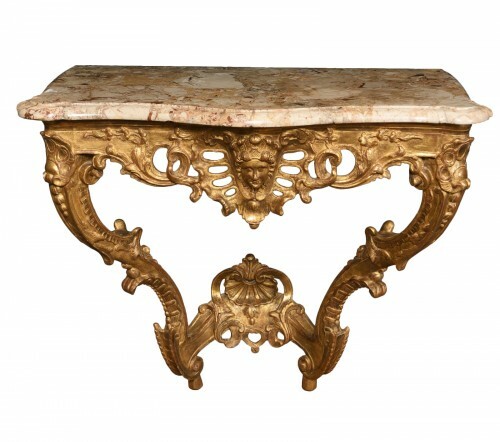 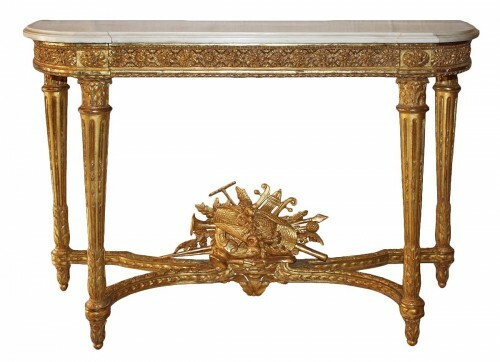 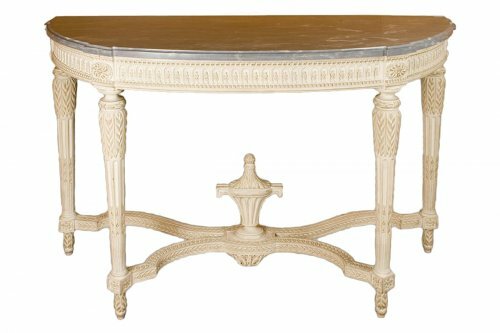 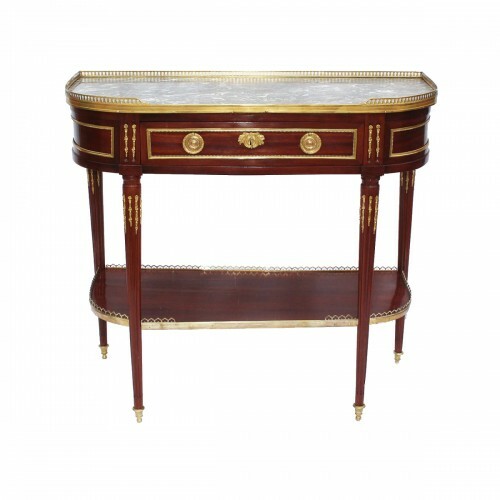 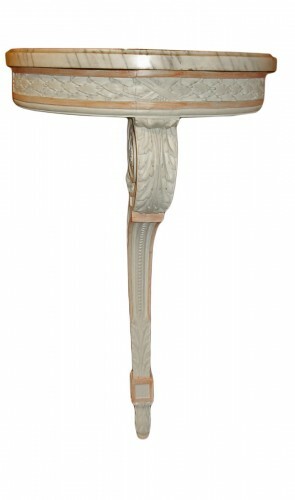 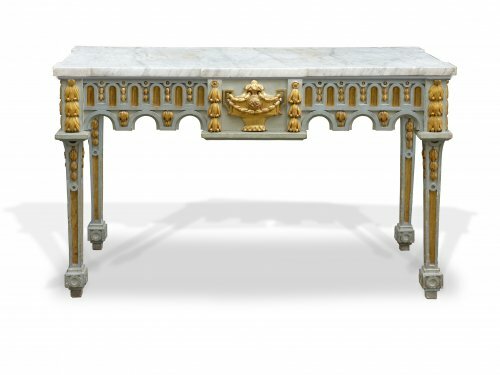 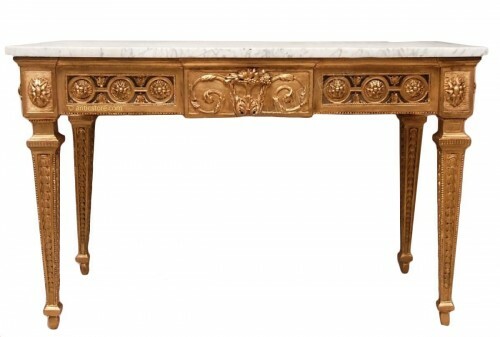 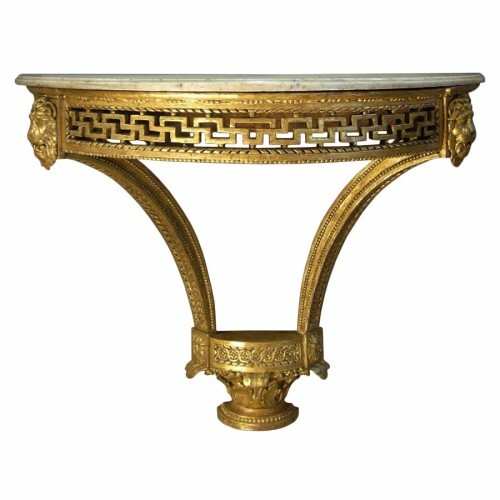 The Louis XVI console is in gilded wood or grey lacquer. 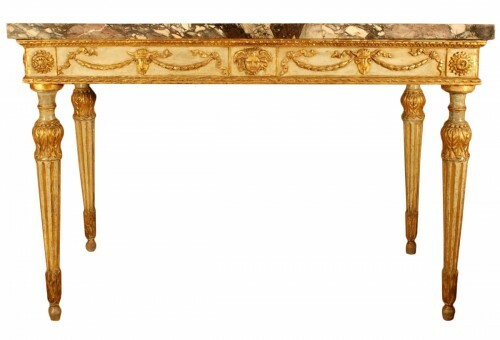 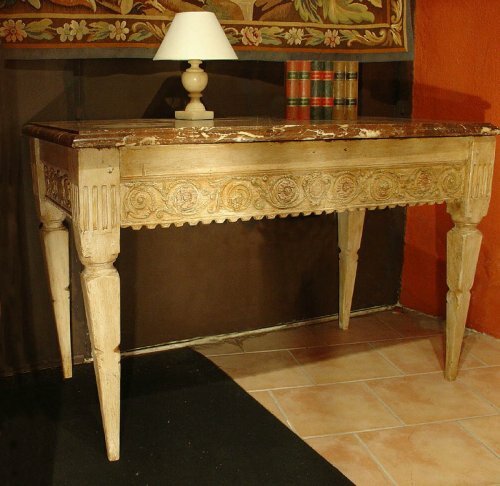 If it is not painted in light shades, the Louis XVI console is darker than the Louis XV console. 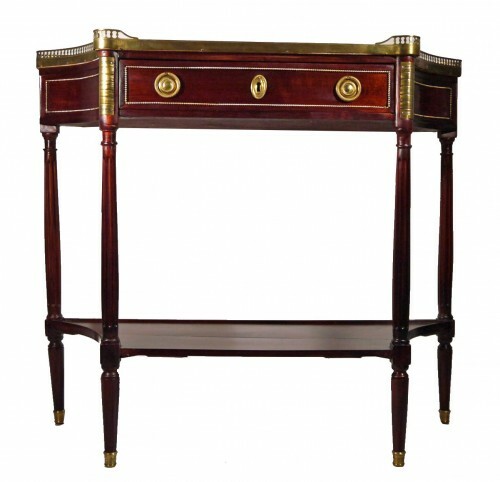 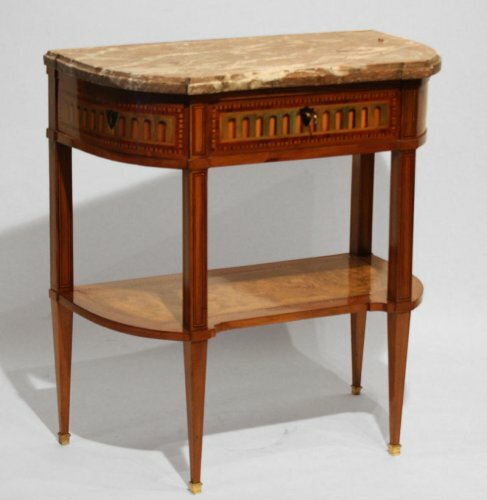 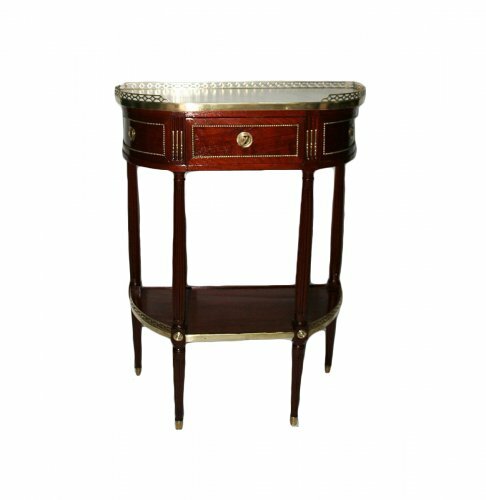 Mahogany was greatly in fashion under Louis XVI. 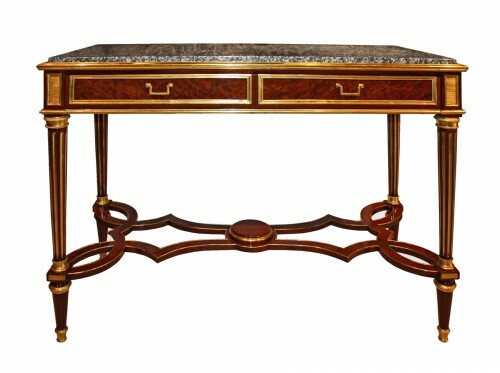 The console could receive a wood veneering or marquetry of kingwood or rosewood. 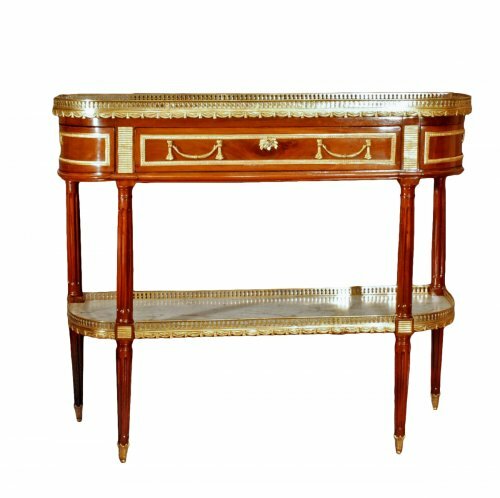 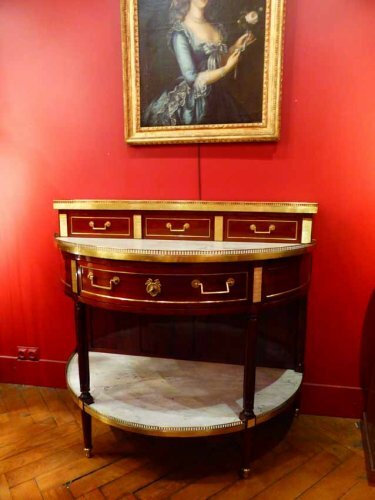 The console-dresser makes its appearance under Louis XVI with a drawer going through and exposed shelves. 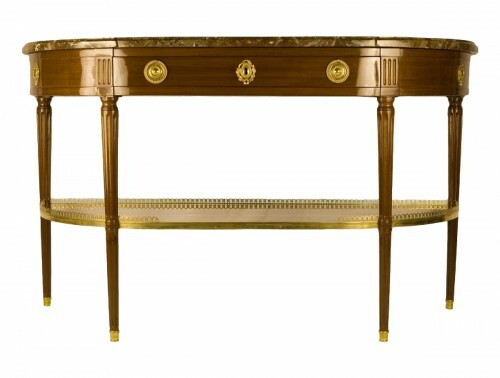 It is also at this time that the console evolves into a sideboard, very popular in the dining room.